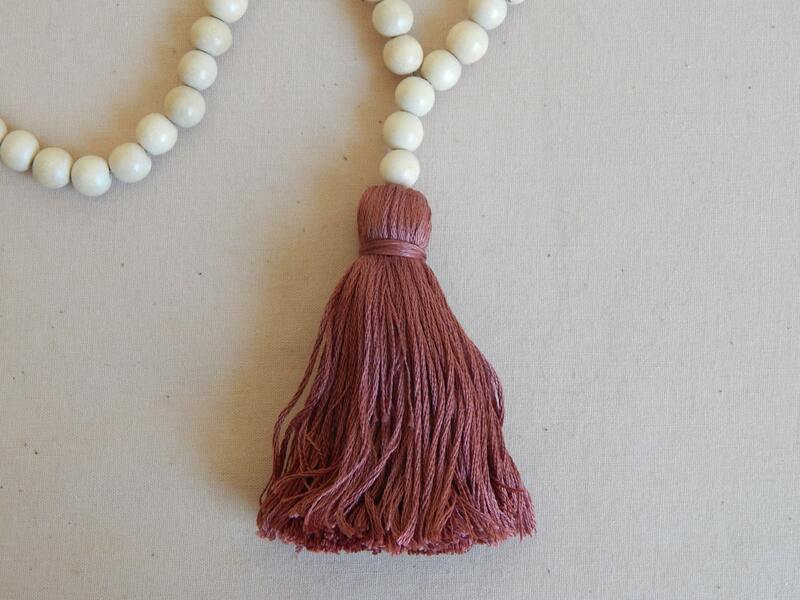 A dark mauve cotton tassel hangs beneath a chain of natural wood beads. Great layering piece for year round wear and the neutral color provides easy pairing with anything. 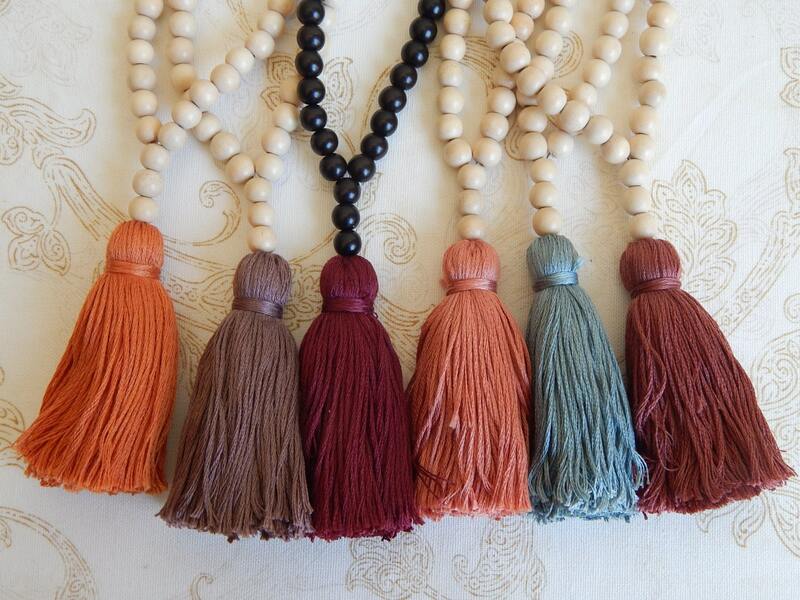 ***Other necklaces shown are sold separately in my shop. 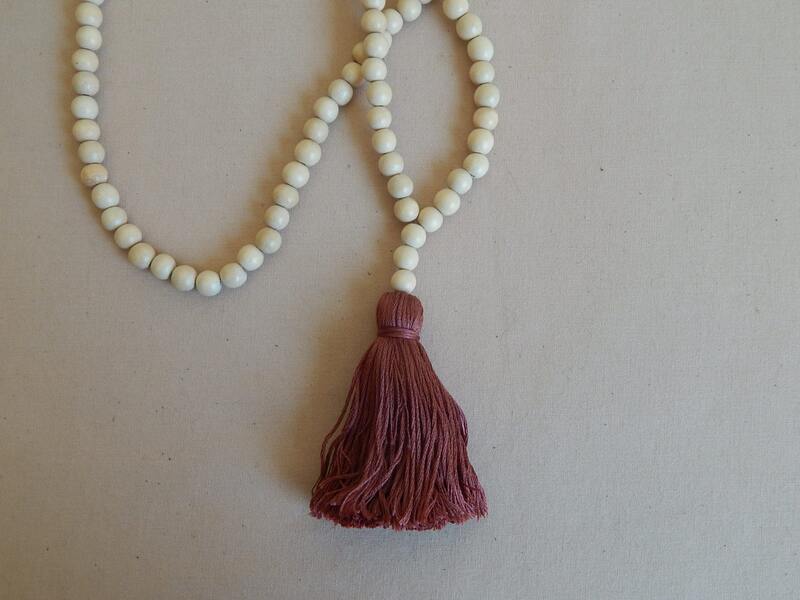 Necklace measures 36 inches long and the tassel adds an additional 4 inches including the 3 beads on top of the tassel. 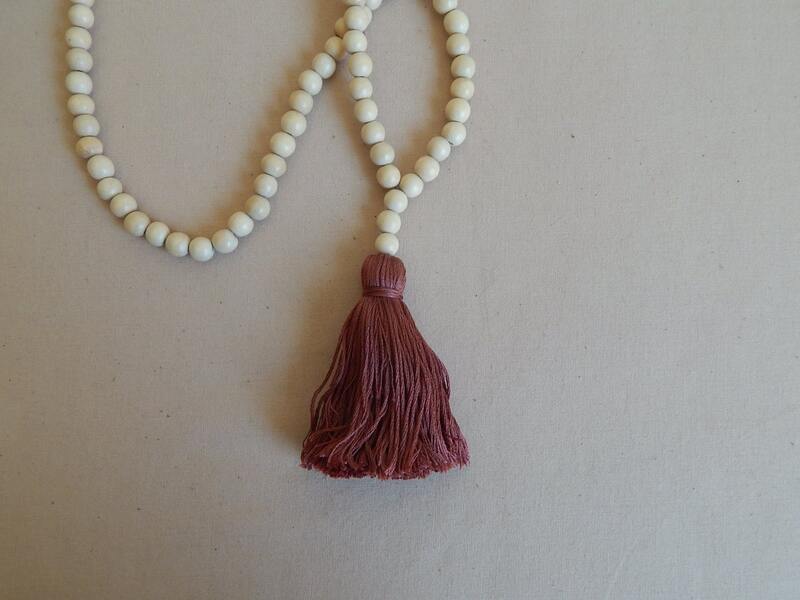 Beads are 8mm.